Besides, announcement of manufacturing high capacity milk van and light weight wagon for transporting salt are also likely to find mention in NDA government's first Rail Budget on July 8. Image: A view of refurbished Ist AC coupe. Heeding to the demand from the manufacturing sector, the Railways is also finalising its budgetary plan to develop high capacity wagons to transport more steel coils. As per the plan, the state-run transporter is proposing to develop wagons which can carry upto 3944 tons of coils. Currently, the carrying capacity of wagons is 2346 tons. Aiming at generating more revenue from parcel movement, the Rail Budget is likely to propose development of high capacity parcel vans. 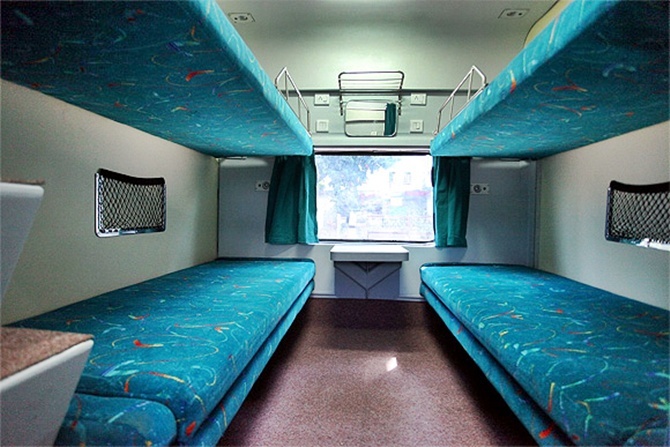 According to sources, better passenger amenities and strengthening of safety and security in trains are likely to be focus of Railway Minister Sadananda Gowda in his maiden Rail Budget. 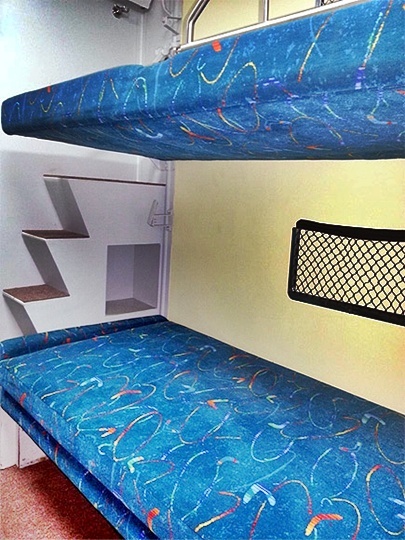 In a step towards providing better amenities and hygienic condition in trains, railways have decided to start a pilot project of providing disposable bedrolls in Bangalore Rajdhani Express. 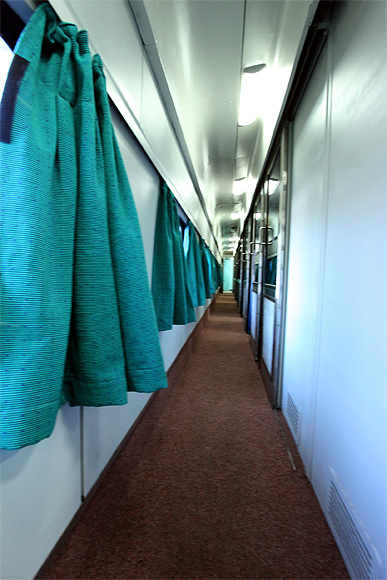 There have been complaints regarding the quality of linen provided to Rajdhani passengers. "So, it has been decided to provide linen made of non-woven polyester fabric which can be disposed off after use. 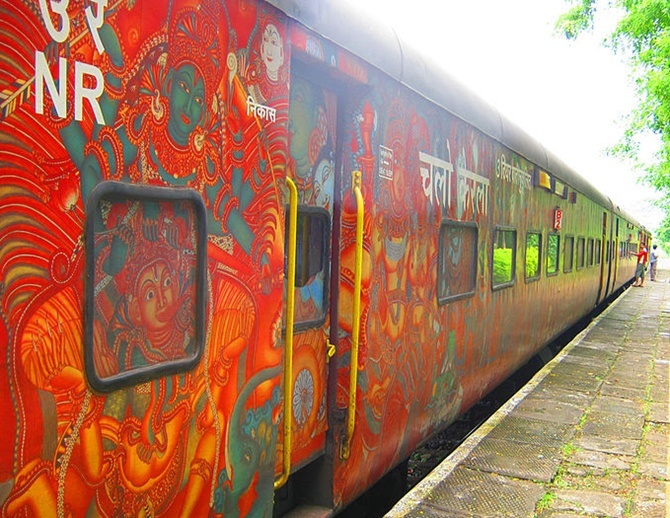 It will be carried out in an experimental way in Bangalore Rajdhani and after getting feedback from passengers a decision will be taken to adopt in in other Rajdhani trains," the sources said. Railways will also start a pilot project to equip Shatabdi coaches with automatic closing door system as a fool-proof safety device. The automatic door system will also be installed in EMU trains for suburban service, as per the plan. Keeping the increased demand for dairy products and milk output, railways is proposing to develop higher capacity milk van which can carry 44,600 litres as against the current 40,000 litre. Though the carrying capacity of milk van will be increased, the weight of the new design milk van will be reduced from 37 tons to 29.7 tons, as per the plan. 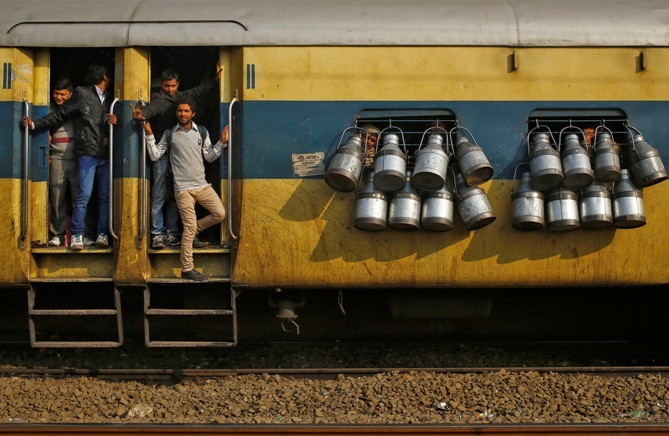 Image: Commuters stand on the door of a passenger train as milk containers hang on the windows in Ghaziabad. 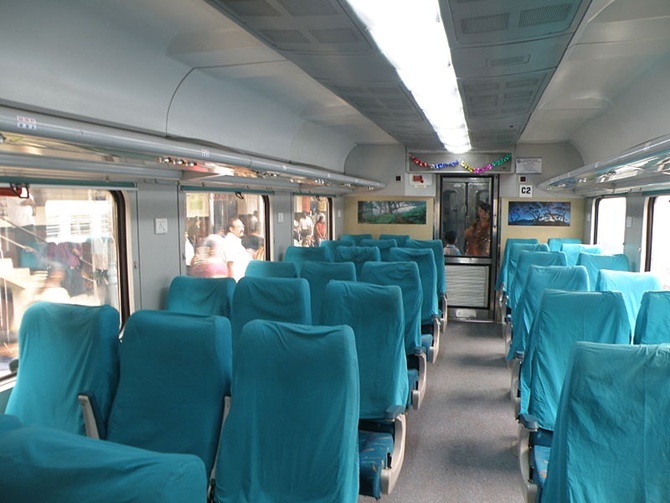 Soon you will be able to travel from Delhi-Agra in 90 minutes!